Positives: 4 mechanics of action, excellent ingredient profile, made by high reputable company, 2 month guarantee and free shipping. Negatives: Not many it has to be said. Shipping: Worldwide including Australia, Canada, USA, UK, Ireland, Europe. The order page has many currencies including Australian dollars, this may need to be activated by the drop down menu at the top of the website. 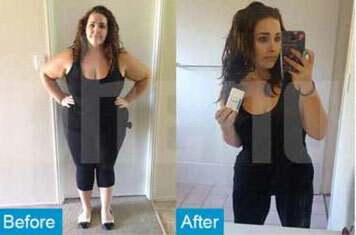 PhenQ say their capsules are so good one pill has the power of “multiple weight loss supplements”. It all sound very good, but many competing manufacturers make similar claims for their products. However, the big difference with Bauer is the amount of confidence they place in their product. Their promises are backed by a 60-day money back guarantee. Many manufacturers fail to offer any guarantee at all, while other offer just 30 days; so Bauer’s generous 60-day guarantee gives the product a massive shot of credibility. The free shipping worldwide (yes even Australia and New Zealand) is also a welcome addition. Recommended Usage – One pill at breakfast, followed by one at lunchtime, is all that is required and Bauer suggests caffeine sensitive individuals limit their intake of caffeine from other sources and refrain from taking PhenQ after 3pm. a-LACYS RESET: A patent-protected ingredient that provides a unique mix of cysteine and alpha-lipoic acid. The volunteers in one clinical study reduced their bodyweight by 3.44%, while also increasing their muscle mass by 3.8%. Muscle tissue weighs more than fat tissue, so the fact that the volunteers increased their muscle mass and still showed the aforementioned overall weight loss suggests the percentage of fat lost must have been very respectable. Capsimax Powder: A patented ingredient that contains capsicum, piperine, and niacin. Piperine is a black pepper extract that can speed the metabolism. It also helps other ingredients to be absorbed more efficiently. Niacin helps the body to convert food to energy, and capsicum is a powerful fat burner that can help the body to burn calories 12 times faster than normal, even while resting. Calcium Carbonate: Well respected for its ability to calm an upset stomach and aid digestion, calcium carbonate can also prevent new fat cells from being created and encourage a higher rate of calorie expenditure. L Carnitine Furmarate: An amino acid that can enhance the mood and encourage fat burning, L Carnitine Furmarate also appears to be able to hold-off the onset of fatigue. Chromium Picolinate: A mainstay of weight loss supplements, chromium balances blood sugar levels and encourages the body to initiate fat burning. Caffeine: The eye-opening powers of caffeine are one of the reasons coffee is such a popular first drink of the day. Most people are aware of its value as an energy provider. It’s abilities as an appetite suppressant and metabolism booster are not always so well appreciated, but the ingredient has much to offer in both departments. Nopal: More commonly called Prickly Pear, nopal is a high-fibre ingredient sourced from a cactus-like succulent plant. It can be used for lowering cholesterol, but it really comes into its own when used to provide appetite suppression. It is also well respected for its fat binding abilities. Side effects are unlikely, but pregnant or breastfeeding women should always err on the side of caution and avoid using supplements unless they have first attained their doctor’s approval. Anyone who has existing health problems or is taking mediation(s) is also advised to discuss the matter with their doctor before commencing supplementation. Bauer may make some confidant claims for PhenQ, but those claims appear to be fully supportable by the ingredients used in the formulation. The fact that so many customers report positive results also provides a good indication of the blends abilities and, let’s not forget, results are guaranteed. PhenQ is only available to order online from the official website. As stated above it ships worldwide and rather pleasingly, it’s free. All currencies are catered for (Australian, Canadian, UK and mainland European) which should be applauded because manufacturers seem to forget there are customers living in other parts of the world other than the US and the Great Britain. Hello, I’ll answer the question as best I can. 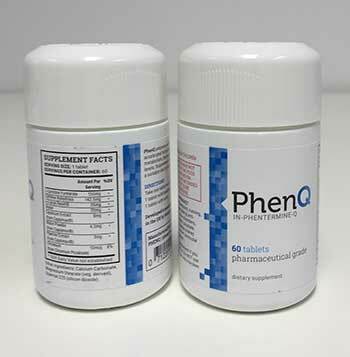 PhenQ does contain stimulants, such as caffeine. Caffeine can indeed cross the blood-brain barrier. To that end, it will affect the brain much like a couple of cups of coffee would; by increasing focus, alertness and mental energy. This is due to an increase in cyclic adenosine monophosphate activity. In terms of how effective that is…that largely depends on how tolerant of caffeine you are. 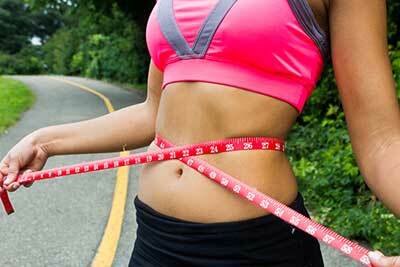 It may be a wise choice to cut down on other caffeine intake so you get the full benefit from the pill. Wanting to buy in new zealand currency. Please email me the prices and combination of bottles. Dear Emma, we don’t sell any products on this website. 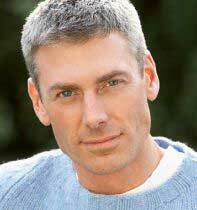 We do however recommend some, and PhenQ is one of those recommended products. 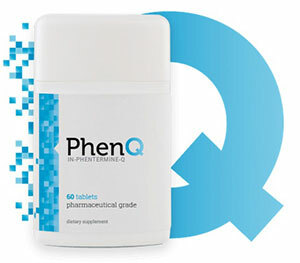 We have provided a link to the PhenQ product site in our review. If you click on it you will go directly there and you can change currency, purchase the product and ask questions if you need to. Thanks and good luck with your weight loss goals. Is PhenQ a generic brand for Contrave? Hi there. No, Contrave is a prescription only medicine that interacts with your brain to alter your desire for food. 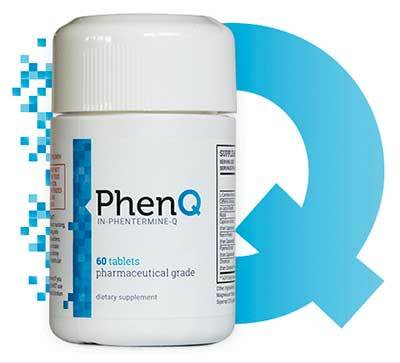 PhenQ is legal to purchase without a prescription and contains – amongst other things – a formula called a-LACYS RESET, which is clinically proven to reduce appetite, and reduce fat at the source, and also increase muscle tone. Hi there is so much hype about which one and most of it is down to who is sponsoring. 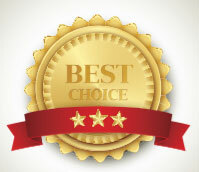 Could you tell me as someone impartial which is the best one at the moment you can get in Australia that does the following: suppress appetite, help cravings, help speed up metabolism, help break down fat. I know that there is no magic pill out there but there is so much it is hard to know where to look. Thanks you. Hi Kim. My personal choice for a while has been and will continue to be PhenQ. It has the strength to do all the things you want, with no BS ingredients or pseudo-science. It is a legit helping hand. Cheers. Here’s a secure link to the PhenQ website. Good luck with everything.